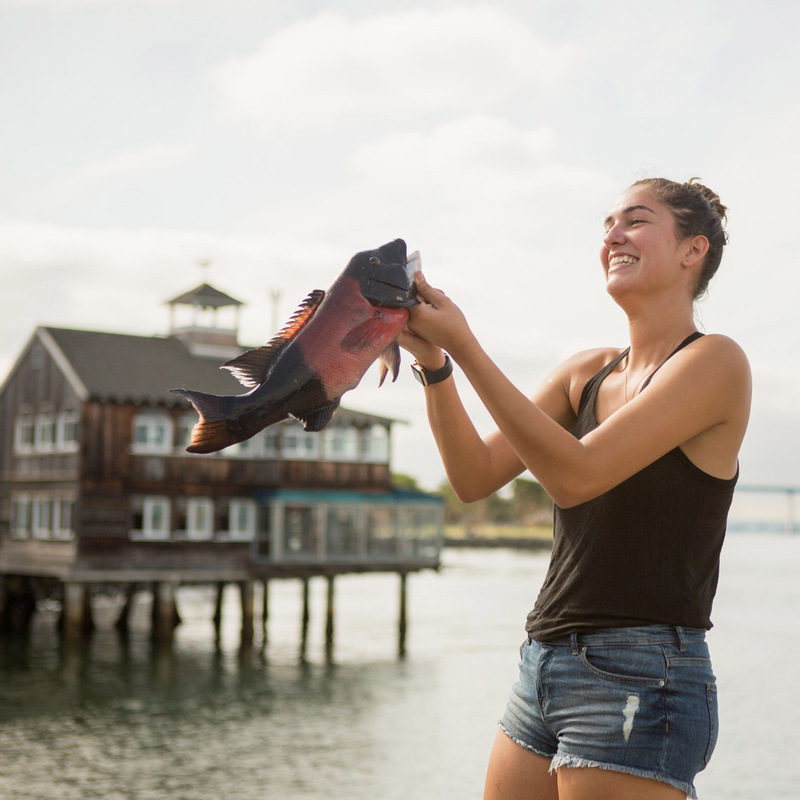 Third-generation fisherwoman, Jordyn Kastlunger, holding a shepherd fish at the Tuna Harbor Market in San Diego. Kastlunger and her family directly provide fish to a number of local restaurants, including El Jardin, Ceviche House and Ironside. Model-released.